Contact Paula J. Burnstein, P.C. "Paula Burnstein is an amazing Attorney for Family Law! My case is part of my messy story. I had a daughter with a mentally ill man, that believed he was Jesus. I lived on a compound and was able to escape with her. After 8 years he came back after me to get her. Paula fought the whole brutal way, so I could protect her. It was a tough case against lies and surprises. She was brilliant with all the different judges we had. Was super reliable and always answered all my crazy questions. She was very concerned for my whole families' well fare along the way and very patient. I would call her again in a heartbeat. She helped protect and kept our family together. Thank you Paula! We will be forever grateful!" "It is very difficult to maintain compassion and empathy while delivering tangible results for your client in a process that is, by its very design, oppositional, yet Paula Burnstein is the consummate professional who manages to strike just the right balance in such a trying time. She delivered an excellent outcome for me, while maintaining a level-headed, professional, yet caring, and realistic advisory role. I very much appreciated her style, restraint, effectiveness and flexibility. We communicated via email, phone, and in person, and she was always available, as needed. I enjoyed very much working with Ms. Burnstein throughout the stressful roller-coaster of my divorce, and while I obviously hope to never require her services again, I can wholeheartedly recommend her in the unfortunate event of a divorce." Paula J. Burnstein is experienced in family law matters including divorce, custody, child support, and property division. 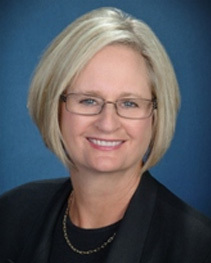 She has practiced solely in the area of family law for the past two decades and has the knowledge to serve your needs, both outside of and in the courtroom. She will help you work through your family law situation while protecting your interests and those of your family. Contact us to schedule your free 15-minute phone consultation. This website is not a solicitation nor is any reader considered a client as the result of reading or communicating with Ms. Burnstein through this website. Ms. Burnstein is not able to provide legal advice in response to email requests for information. We serve clients throughout Arizona including those in the following localities: Maricopa County including Cave Creek, Chandler, Fountain Hills, Gilbert, Glendale, Goodyear, Mesa, New River, Paradise Valley, Peoria, Phoenix, Queen Creek, Scottsdale, Sun City, Sun City West, Surprise, and Tempe; and Yavapai County including Prescott, Prescott Valley, and Sedona. Copyright © 2018, Paula J. Burnstein, P.C.